The situation; you have more vehicles than you have garage space for. The solution; add on a few more bays by attaching a new pole garage to your existing structure. 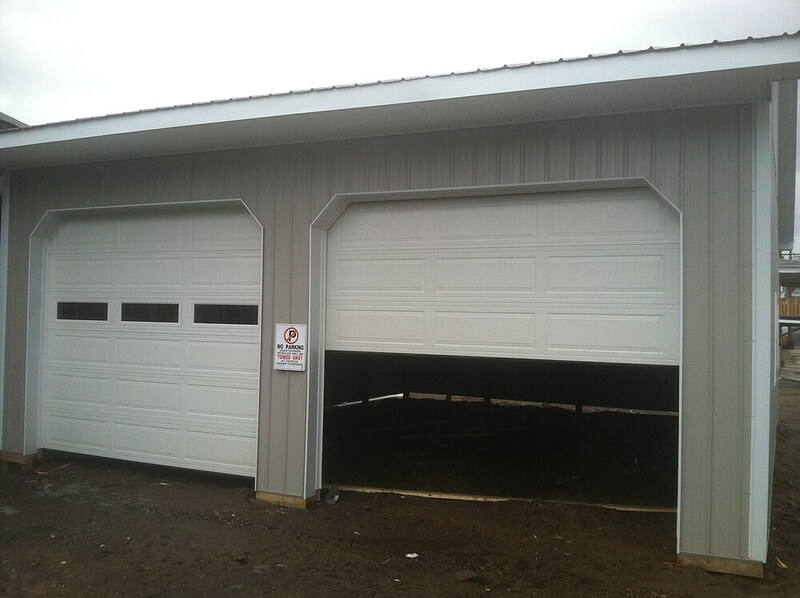 One of our preferred builders from the Schuylkill Haven area was selected by this customer to take on the job of constructed this garage addition. The materials were shipped, a complete set of design and construction drawings were forwarded to the builder, and the well-done result is what you see in theses photos. The structure itself is fairly basic with a few additional options that were selected for aesthetic enhancement and functionality. Glass windowed garage doors were picked to allow some natural light into the building. 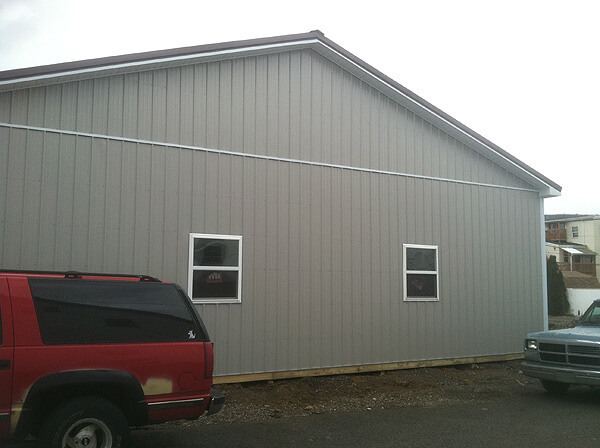 A walk out door was added to the backside of the building to allow for easy access. Dutch corners were added to the garage door framing to match the existing garage. It's a simple and inexpensive addition that adds a nice visual. A 1' overhang was included on both the eave and Gambrel sides to allow for better ventilation. 2x6 treated board can be seen along the bottom. This was put into place so that the customer can pour a concrete floor for the structure at a later date.